Goat hair designed at an angle for easier blusher application. The clue is in the title … Applying blusher. Swirl the tip of the brush into your blusher ensuring the whole tip is covered. Tap off the excess, and smile. Place the pointed tip towards the nose and line the edge of the brush up with your smile line closest to your nose, place the brush onto your cheek at the lowest point, twist slightly and gently sweep outwards. 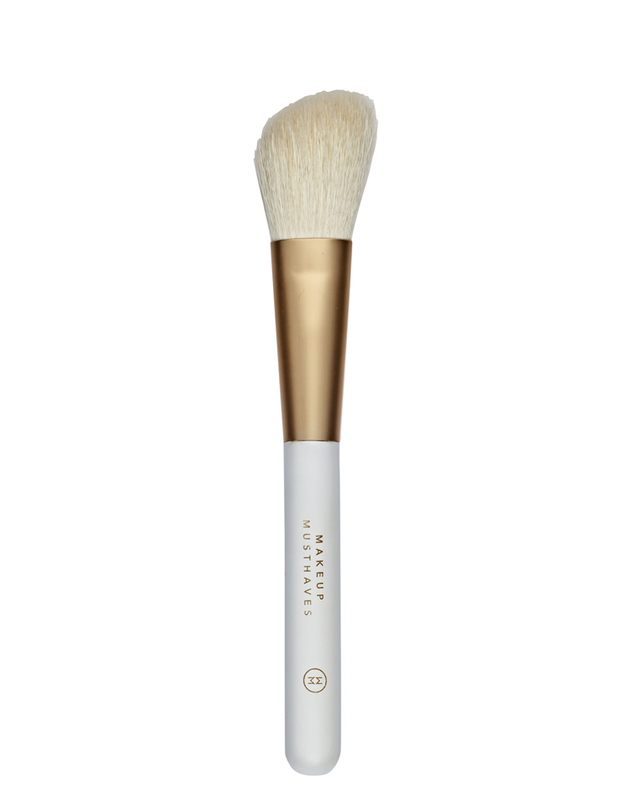 This brush can also be used for contouring using a lighter powder to add more definition and is great for achieving a straight line.